I'm inviting you to join my Agel Team! A critical part of your healthy lifestyle! Make your life with Agel, vitamins, minerals, and herbs! To watch this Video you may need Mozilla Firefox! Get it, Taste it, Feel it ! Do you need vitamins and minerals? How about a healthy immune system? Are you concerned about free-radical causing pollutants? If you're concerned about any of this then Agel Product is for you. You simply grip, rip and sip! Agel's line of nutritional products are, quite simply, a revolutionary step towards more convenient, more accurate and more effective nutrition. It meets the needs of today's fast-paced lifestyles. Actually getting the nutrition you need when you need it can have a dramatic impact on the way you feel every day and how effective you are at what you do. We could call it a "breakthrough innovation", but really somethin else, and it's all about the gel. What is a gel? It's a plant-based, gelatinous fluid that allows basic nutrients to "float". When nutrients "float", they stay dissolved and "suspended" and are more portable, easier to ingest, more accurate in their dosage and more readily absorbed by your body. 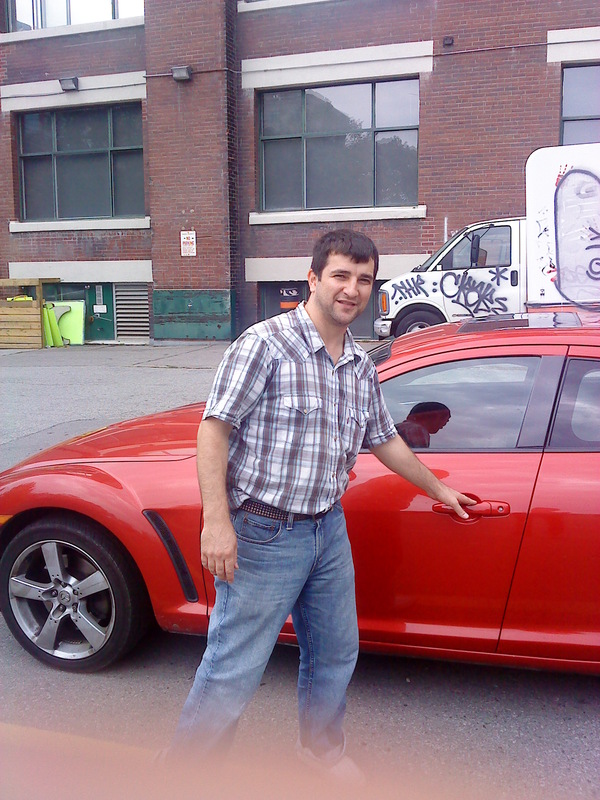 Agel attracts hard-working entrepreneurs who are focused on reaching their dreams. These focused and energetic people have recruited tens of thousands of others to help them spread the word, which in turn has generated for them ever greater income and security. Some Agel distributors have made millions, while others have created better health for themselves and for others. More than a few have done both. What will you achieve? The possibilities are vast. You might achieve freedom from the daily grind and morning commute. You might find yourself with a body that feels better, works better, and looks better, along with a mind that is quick and focused. It is even possible to end up with a bank account that you never have to worry about. Once you generate enough momentum, you could even have an income-generating machine that frees you from the pressures of making money. Then you might enjoy life like never before! Through suspension gel technology, our daily nutrients can be taken anywhere, quickly and easily. Think about it: no glasses, no super-sized pills, no waterlogged juices, no ineffective sprays and creams - just pure, concentrated nutrients in an easy to take, readily absorbed, taste bud-busting gel. Entirely original, the Gelceutical market represents an untapped arena of wellness. And the landmark realization of the industry is AgelTM. Agel stands at the head of a supplement revolution - incredible convenience, incredible flavor. We all know that good health starts with a healthy heart and the HRT product enables heart health with it's very unique ingredients which can provide heart attack prevention. At Agel, the aim is to provide all with the option of achieving the best possible heart functionality. With the HRT suspended gel product with best-in-class bioavailability, protecting the heart is first and foremost, while fueling one's myocardial system and maintaining a healthy level of cholesterol. With its blend of antioxidants and other nutrients, HRT offers the heart energy and protection. Taurine, for example, can maintain heart health, while carnitine helps increase myocardial energy production, and these are just two examples of all the heart-oriented components found in HRT. The condition of your heart can have a big impact on your life. So eat right and exercise. 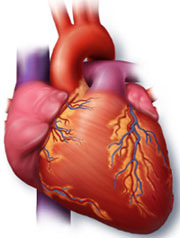 And to augment your healthy heart lifestyle, consider the unique blend of nutrients found in HRT. Get to the heart of the matter. Healthy joints can help you maintain an active lifestyle. Joint pain from exercise and the normal activities of an active life can be a big annoyance, which is why maintaining healthy joints is so essential. Four supplements for healthy joints. There are four supplements touted for their healthful effects on joints: Chondroitin Sulfate is a part of a large protein molecule that gives cartilage elasticity. Glucosamine is an amino sugar that is believed to assist in cartilage formation and repair and in the lubrication of the joints. Methylsulfonylmethane (MSM) is a biologically available form of sulfur shown to be effective at supporting joint health. And Celadrin® is a proprietary combination of cetylated fatty acids that has been shown to promote joint health and reduce minor or temporary pain due to the normal activities of an active life. What Agel CAL Can Do For You? It has been proven that Calcium Citrate is absorbed and digested by the body more efficiently than Calcium Carbonate, especially in older people, and appears to be more effective than Calcium Carbonate. Calcium Citrate does not require stomach acid to be broken down, this means that it is more easily absorbed and utilized by the body. This also means that it can be taken on an empty stomach. Another unique advantage that comes with taking Calcium Citrate is that unlike other forms of Calcium, it does not block Iron absorption. Agel UMI - Fucoidan Immune Booster. Agel UMI offers a vast array of health benefits that have only really been appreciated by coastal communities with abundant access to brown seaweed. The active ingredient in UMI is Fucoidan, which is a component of brown seaweed. For centuries, brown seaweed has been considered a natural source of healthy food and nutrition. But, it has only been recently that further research has identified Fucoidan, a sulfated polysaccharide, as the true source of the health and wellness benefits of this oceanic wonder. As an antioxidant, fucoidan has piqued the interest of many scientists and researchers as one of the ocean's greatest treasures. However, as scientists have continued to explore this complex molecule, more and more of its health benefits have been identified. Agel MIN - The "Vitamineral" Power Pack. MIN is a proprietary formulation of vitamins and minerals that provides 100% of the RDI (Recommended Daily Intake) of almost all the essential vitamins and as much as 50% of the RDI of most of the essential minerals. More importantly, the bioavailability of these vitamins and minerals is drastically enhanced due to the revolutionary gel technology employed in the MIN formulation. The vitamins and minerals are either dissolved or suspended in the gel, resulting in immediate availability for absorption by the digestive tract. Agel EXO - The Antioxidant Bio-Shield. 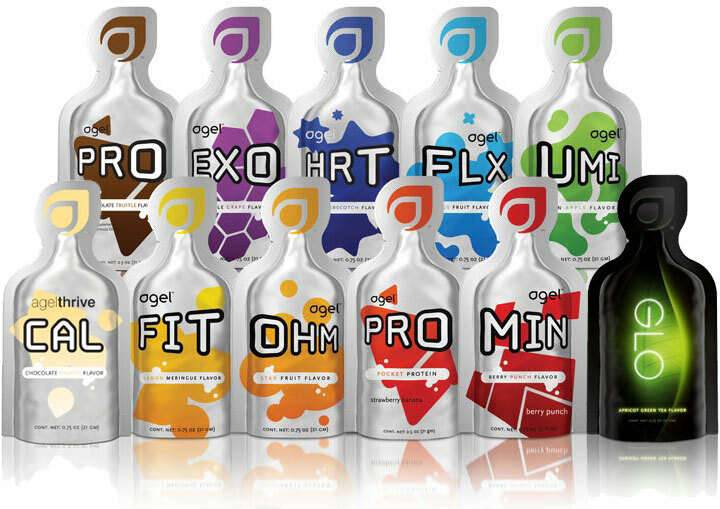 Agel EXO is a proprietary formulation of 17 different and unique fruit botanicals. Whole-fruit purees and extracts are loaded with antioxidants. Scientific literature suggests that a having variety of antioxidants is much better than taking high doses of just one or two different antioxidants. This unique formulation consists of potent botanicals that when tested separately have been found to contain very high antioxidant capacities. Because EXO is a highly concentrated gel made up of not just one, but all 17 of these antioxidant-rich fruits, the efficacy, bioavailability, and absorption of these essential compounds is assured. Agel FIT - The FIT Way to Burn Fat! FIT is a proprietary formulation that can help play a role in the frustrating struggle of weight control, without the harmful effects of stimulants. FIT contains an active ingredient called Super CitriMax TM, the patent pending form of HCA (hydroxycitric acid), which comes from the extract of the fruit and rind of Garcinia combogia. HCA has been shown in clinical trials to decrease body weight by reducing appetite and inhibiting fat synthesis without stimulating the central nervous system. HCA potency, bioavailability, timing of ingestion, and dosage are the essential requirements for optimal weight control results. Agel OHM - When You Want a Power Boost. OHM, is a blend of vitamins, minerals, and herbs that complements a proper diet and regular exercise to provide the "extra energy" required to meet every day demands, without the effects of chemical stimulants. Its B vitamins act as coenzymes and facilitate the metabolic processes required for the breakdown of carbohydrates into energy. OHM's Panax Ginseng has been shown to be associated with antioxidant properties and an increase in the resistance against stressful influences, while providing possible beneficial effects on motor performance, cognitive behavior, and overall quality of life. Agel PRO - Balanced Protein. Agel PRO is a balanced protein gel that serves a wide variety of nutrition needs for a large number of people. This balanced protein gel can be beneficial to everybody; athletes who want to engage in severe muscle building, for individuals concerned with weight management, or simply for anybody who wants a mini-meal replacement or in-between meal snack. Agel PRO contains 18 grams of protein in 175 calories, and it is balanced with medium chain triglycerides and fructose to help build muscle and maintain overall body conditioning, all from an inexpensive and easily carried package that actually tastes great (delicious strawberry-banana flavor). Agel PRO - Chocolate Strawberry. Have you noticed that something's been missing on the shelves at the nutrition stores? What's missing is an easy way to get the protein that you need quickly and easily, without stopping your day. One of the toughest things for nearly everyone is maintaining a diet that's going to facilitate our needs when it comes to replenishing our bodies with the nutrients that are most important and useful to us - while figuring out how to constantly and consistently increase our strength and muscle growth without burn out, or hitting frustrating plateaus. This requires an ideal diet. Protein is the most vital source of food to keep progressing and building lean muscle mass. You need a certain quality of protein that will provide your body with essential amino acids to build muscles most efficiently. Agel PRO - designed specifically for anyone who has a need or desire to build muscle is a balanced protein gelceutical, specifically formulated from the highest quality of whey protein isolate; the greatest source of protein there is. 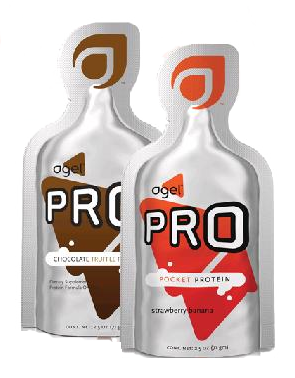 Agel PRO gives you the ability to easily provide yourself a quick, and healthy delicious chocolate truffle flavored snack that comes in a unique single serving gelceutical pack, with which Agel has revolutionized in the world of nutritional supplements. With Agel PRO single serving gel packs, it's nearly like having a ready made meal that you can conveniently squeeze into your mouth and take on the run anytime you wish. This gel formula changes the way that you take and absorb nutrients because of the way that it suspends the beneficial ingredients, which in turn allows for greater and faster absorption into the body. It's been shown that with pills you lose over half of the nutrients before digestion and absorption even occurs. Agel GLO - Beauty from the inside out. Hydrating your body is key to looking good and feeling good, as we age, it becomes increasingly difficult for our cells to absorb water. This leads to a dry, flaky, and dull appearance. When combined, green tea seed oil, grape seed oil and aloe vera help your cells absorb water, providing fuller and healthier skin, hair, and nails. Enhancing the collagen fibers in our bodies can reduce fine lines and wrinkles, giving you a more youthful appearance. Over time these fibers weaken and stretch causing fine lines and wrinkles, even sagging. By combining acerola cherry extract, horsetail extract and coenzyme Q-10, you can properly support your collagen fibers. Protecting yourself from environmental pollutants and the long term effects of the sun can give you an even, smooth, and healthy complexion for years to come. GLO accomplishes this by combining green tea extract with turmeric and oats. Agel GRN - Detoxify your body. On the surface you can clean your outer skin daily, but how to clean your inside? You know that cleansing your inside is very important especially after reaching a certain age. And Agel Enterprises has simplified the process and made it so very convenient and non-intrusive and a lot easier. The product is named GRN and it has a very powerful and natural formulation to cleanse the digestive system by stimulating the digestive track and thereby supporting your healthy bacteria which is and has been working inside of your body. Our bodies absorb all kinds of things: some good for us, some unhealthy to our well-being. GRN was specifically formulated with some of the most powerful phytonutrients such as spirulina and chlorophyll to nourish and detoxify your body naturally. Give your skin a younger, healthy glow with this vitamin-packed anti-oxidant serum. The Ageless Anti-aging Gel Serum restores your complexion from within, minimizing fine lines, wrinkles, and sagging skin. Use this miracle product morning and night to visibly reduce the effects of aging. To use: Apply two to three pumps daily to face and neck, avoiding eye area. Use on cleansed skin after toning with misting gel. Prevent free radicals from damaging your skin with this hydrating day gel. The Ageless Daily Moisturizing Gel protects your skin from the multitude of daily stresses it encounters, including pollution and wind. Use it daily to combat toxins and keep your skin hydrated. To use: Apply one to two pumps over face and neck, avoiding eye area. Use daily. Tone and balance your skin with this light, hydrating mist. The Ageless Anti-oxidant Misting Gel removes all traces of cleanser and impurities. Use it morning and night to complete your cleansing process and restore your skin's moisture. To use: Mist onto cleansed face and neck. Allow two minutes for ample hydration prior to using the serum, and follow with the day or night moisturizer. Eliminate impurities with this fresh, foaming gel. The Ageless Daily Cleansing Gel removes makeup and eliminates dead skin cells, environmental particles, and excess oil. Use it morning and night for soft, clean, and supple skin. To use: Apply a small amount and gently cleanse face and neck with circular motions, avoiding the eye area. Rinse with water and follow with misting gel. Exfoliate and purify your skin with this gentle and effective scrub. The Ageless Gel Scrub removes dead skin cells, allowing your skin to breathe easier. Use it four to five times per week for a smooth and radiant complexion. To use: Apply a small amount to palm. Gently massage into face and neck in a circular motion, avoiding eye area. Rinse with lukewarm water. Gentle enough to use four to five times per week. Enhance cell renewal while you sleep with this ultra-rich night-time gel. The Ageless Nourishing Night Gel rebuilds collagen and renews your skin's surface. Use it nightly to restore your skin's elasticity - and wake up in the morning with healthy, younger-looking skin. To use: Apply to face and neck, avoiding eye area. Use wide sweeping motions, concentrating on fine lines and wrinkles. Use nightly. Brighten the skin around your eyes with this specially formulated eye gel. The Ageless Age-defying Eye Gel smoothes fine lines and wrinkles, promoting elastin and collagen in the eye contour area. Use it morning and night to reduce signs of tiredness and aging. To use: Gently apply by tapping around eye area with your fourth finger ( avoid the lid ), until fully absorbed. Press the image to navigate to the details for! One thing that's important is that we don't wait to take care of one of our most crucial body parts - the heart - and that we start taking care of it now while it's still healthy. Agel Enterprises developed Agel HRT specifically for your heart because they realize that all too often we wait until it's too late. HRT makes it easier than ever before to take care of your heart, even if you're the busiest person in the world. The fact is that nutrition and exercise are the two most important parts of keeping your heart healthy. Stopping at the artery clogging fast food joints on your way to and from work for breakfast and dinner is a habit that's immediately got to change - and quick! Or who knows... maybe you do take pretty good care of yourself, exercising and eating wisely most of the time. Either way, it's vital that you start now to take even bolder steps to keep your heart functioning as best as you can. Agel HRT combines a blend of nutrients and antioxidants that are designed to specifically target the heart in order to add a healthy boost to your myocardial system - keeping your heart beating, and pumping your blood - sending oxygen to all of your vital organs and body parts. In conjunction with diet and exercise, HRT can help you keep your cholesterol in check. With its blend of antioxidants and other nutrients, HRT offers the heart energy protection. Taurine, for example can help reduce damage done to the heart, while Carnitine helps fuel the entire myocardial system, turning your heart and all of it's mechanisms into a well-oiled machine. Now, listen to this. By using the advanced techniques of gel suspension in a delectable tasting gel formula, your body will more quickly and completely absorb the nutrients than it ever could with a pill. You'll simply grab and go, doing it all on the run with the innovative single serve butterscotch flavored gel packs that you can easily take with you. The HRT product is sold in a box which includes 30 gel-packs, essentially a month’s supply. One can consume more than one HRT product daily to get better results faster. The flavor of HRT is butterscotch! HRT Ingredients and Supplemental Facts! HRT Ingredients and Supplemental - Info! AGEL FLX was formulated to take advantage of 4 fantastic ingredients (Chondroitin, Glucosamine, MSM (MethylSulfonylMethane), Celadrin) that have all been found to be very beneficial in the maintenance of healthy joints and maximum flexibility. This formulation is a first, not only because it contains all 4 ingredients, but also because it is delivered in a gel suspension, a remarkable innovation by itself. Joint pain and immobility associated with osteoarthritis are a problem that is increasing around the world. Tens of millions of people in the United States alone are forced to limit their activity and therefore have a hindered lifestyle as a result of poor joint health. As our population continues to age, this problem will continue to increase and therefore, so will the need to alleviate the cause and the symptoms of this painful and debilitating condition. Chondroitin Sulfate is a part of a large protein molecule that gives cartilage elasticity. Glucosamine is an amino sugar that is believed to assist in cartilage formation and repair and in the lubrication of the joints. Methylsulfonylmethane (MSM) is a biologically available form of sulfur shown to be effective at supporting joint health. And Celadrin is a proprietary combination of cetylated fatty acids that has been shown to promote joint health and reduce minor or temporary pain due to the normal activities of an active life. There are many pills that contain one or even two of these supplements. But Agel FLX contains all four! Leading an active life requires that you can freely move without pain. In general, from the age of 2 until about 40 years old, we experience few limitations in our ability to work; enjoy recreation, participate in sports, and climb stairs. However, as we age beyond 40, we may experience physical limitations; some are temporary; but some are chronic condition as arthritis. The body contains many joints that allow the body to move. Joint movement is dependent on muscle attachments, articular cartilage and synovial fluid. Synovial fluid is secreted by the joint: all moving machinery requires lubrication at the moving joint. The articular cartilage refers to the growth at the ends of the bones. Cartilage is protein; it also reduces the friction forces when the 2 bones moves against each other. Loss of cartilage leads to increased friction: increased inflammation, increased pain; reduced flexibility and finally to fusion of the two bones. Arthritis is a major chronic disease, it comes in more the 100 forms, but the most common form is osteoarthritis. Arthritis cause chronic pain and immobility to almost 350 million individuals worldwide. Arthritis limits the flexibility of the joints, causes pain and limits mobility. The human body cannot work properly function without flexible joints to cushion the body in action and to articulate movements. Therefore, the ideal solution to joint flexibility lies in the need to nourish and preserve the articular cartilage and synovial fluid of all joints. Chondroitin and Glucosamine work synergistically to help alleviate pain Chondrotin and Glucosamine are the building blocks of proteoglycans in cartilage. Any reduction of these two can lead to cartilage alteration. Degenerative Joint Disease is the most widely diagnosed amongst all bone diseases. People above the age of 55 are prone to it and if affects more than 75% of the people worldwide. 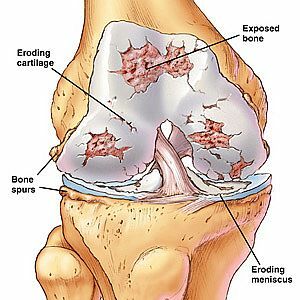 This happens due the melting or thinning of the cartilages which coat the joints of the bone to reduce friction. Once the coating is tampered; the bones tend to rub against each other and that particular bone structure wears down soon. This being the case movement is restricted to a few painful steps. At times due to the loosing of the coating; the bone may start to grow further, which would inturn increase the already existing problem. The FLX product is sold in a box which includes 30 gel-packs, essentially a month’s supply, but the box of FLX could last someone much longer than a month. The flavor of FLX is citrus! FLX Ingredients and Supplemental Facts! FLX Ingredients and Supplemental - Info! Milk never tasted so good and never had what this vitamin supplement can provide your body - and it will thank you. Calcium is all around in our body - the most abundant mineral in our body with secretion of hormones and enzymes, blood vessel contraction and expansion, sending critical messages through our nervous systems and the more obvious healthy bones. You need to supplement your body with Calcium and in the proper dosages - anything more than 1200mg is wasted as it can't be properly absorbed. With the CAL product, you will quickly realize that this product enables your body to get the required Calcium your body needs in a manner in which your body can use it. You can never have too much of a good thing. Blood vessel contraction and expansion, the secretion of hormones and enzymes, sending messages through the nervous system and of course healthy bones, what do all these things have in common? Calcium - the most abundant mineral in the human body and now Calcium is easier for your body to get than ever before, with CAL. Most of the Calcium in your body is stored in the bones and teeth where it supports their structure. The rest is found throughout the body in the blood, muscles, and the fluid between cells. Every day your body withdraws small amounts from your bones to support the normal function of your body systems. If you don't get enough calcium, you could be withdrawing more than you are depositing. CAL makes sure that you are taking in more than you are giving out. Just like a sponge your body can only absorb so much at one time. This is true with Calcium supplements. Studies have shown that 500mg taken twice a day is the proper way to replenish your body. Any more than that gets wasted. CAL has been specially formulated with these limits in mind. What can CAL do for you? Agel CAL was formulated to help you get the right amount of the most abundant mineral in the human body, Calcium. This innovative formulation gives you 3 forms of Calcium that are more easily absorbed by the body than other sources, plus these 3 ingredients are combined with other key ingredients and the Suspension Gel technology, which makes CAL the right Calcium product for you. Calcium is the building block of our body's structure. Just like a building needs bricks and mortar, our body also has building blocks which promote strength and support. Calcium is the most important mineral in promoting strong and healthy bones. 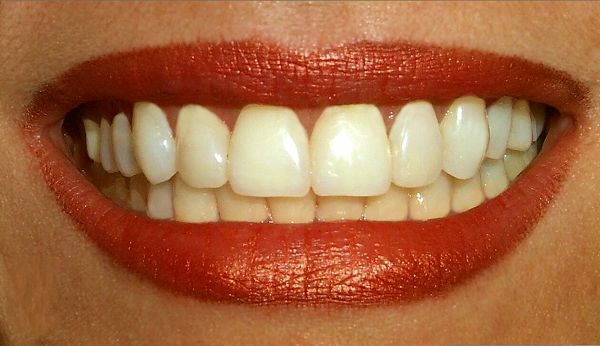 Almost all of the calcium in your body is in your skeleton and teeth. There is only about 1% extra calcium outside of your skeletal system and most of this 1% is in your blood. As you get older your body needs an adequate supply of Calcium to keep your bones, blood and surrounding cells healthy. Should I Worry About Calcium Deficiency? Calcium is a mineral needed by the body for healthy bones, teeth, and proper function of the heart, muscles, and nerves. The body cannot produce its own Calcium; it must be absorbed through outside sources such as Calcium Supplements. Research shows that 75 % of people do not get enough Calcium each day. This alarming percentage worries many health care professionals. The CAL product is sold in a box which includes 30 gel-packs, essentially a month’s supply, for proper bone health and osteoporosis prevention. The flavor of CAL is chocolate orange! CAL Ingredients and Supplemental Facts! CAL Ingredients and Supplemental - Info! Agel UMI offers a vast array of health benefits that have only really been appreciated by coastal communities with abundant access to brown seaweed. The active ingredient in UMI is Fucoidan, which is a component of brown seaweed. For centuries, brown seaweed has been considered a natural source of healthy food and nutrition. It has only been recently that further research has identified Fucoidan, a sulfated polysaccharide, as the true source of the health and wellness benefits of this oceanic wonder. As an antioxidant, fucoidan has piqued the interest of many scientists and researchers as one of the ocean's greatest treasures. However, as scientists have continued to explore this complex molecule, more and more of its health benefits have been identified. In many parts of the world, seaweed is not a regular part of the daily diet. In fact, there are many people who would not even consider eating seaweed. However, with Agel UMI, the exceptional health benefits of this oceanic treasure are now available to the masses. So, what is it about the brown seaweed that is so extraordinary? Through extensive research, scientists have identified a complex sulfated polysaccharide, called fucoidan as the active ingredient. Its primary makeup consists of an essential sugar called fucose along with other elements such as xylose, mannose, and galactose, and glucose. Studies consistently show that fucoidan possesses a wide range of properties beneficial to maintaining optimal health. One of the primary ways in which Fucoidan provides a vast array of health benefits is its ability to interact with, and modulate the immune system. Several studies have identified many of the immune modulating effects of Fucoidan. The ability of a substance to modulate the immune system is an extremely useful property. Modulation is a term used to describe the process of reducing the extremes of cellular activity either stimulation or inhibition. Immune modulating substances have the ability to increase immune function when it is depressed, such as in conditions like chronic fatigue, and then to reduce it when it is over-stimulated, such as in auto-immune diseases like lupus or rheumatoid arthritis. Most immune modulating agents work by improving inter-cellular communication. One way cells interact and communicate is by presenting glycoproteins on their surface. Glycoproteins are complex information-rich macromolecules composed of a protein core to which is bound arrays of linked saccharides or sugars (polysaccharides). The structures of the saccharides vary and therefore relay different codes for different messages. For example, one message might tell a cell to secrete a specific cellular product, and another message might tell a cell when to divide. Other cells have corresponding glycoprotein receptor molecules, which can then read these messages and respond accordingly. Thus, our bodies are involved in a very sophisticated and harmonious intercellular communication all the time. The immune system depends heavily on this kind of communication to co-ordinate cellular defense, apoptosis, cell attack and repair processes. When any of the range of saccharides required to build competent glycoproteins (and thereby convey an accurate message) are missing, the quality of that communication is compromised. It has been shown that dietary supply of certain saccharides improves the integrity of glycoprotein production. 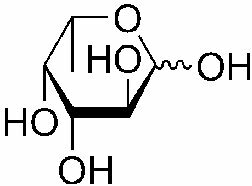 Fucoidans provide an abundant supply of Fucose, one of the necessary saccharides, and smaller amounts of several other required sugars. This is likely to be one mechanism by which the fucoidans exert their immunomodulatory effect. Fucoidan has been shown to sustain and promote better health. It also helps promote the health of white blood cells, and supports their production in the body. 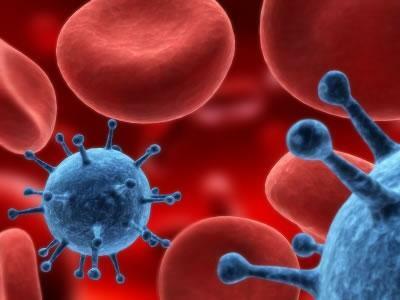 Healthy white blood cells are a critical part of your body's imuno-response. What Happens When The Immune System Fails? The scientific community has sufficiently established that Fucoidan suppresses cell growth, inhibit proliferation of cancer metastasis and stimulate cancer cell apoptosis. 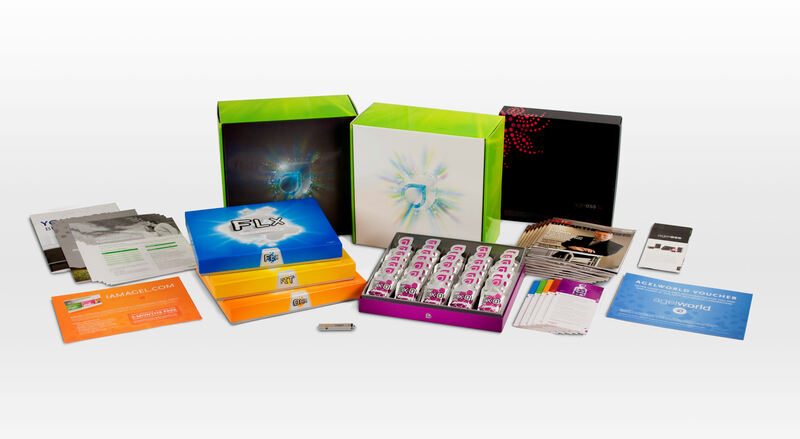 The UMI product is sold in a box which includes 30 gel-packs, essentially a month’s supply. This will enable all consumers to get the essential vitamins and minerals their bodies need. UMI is great for children, enabling them to not get ill at school or at daycare. The UMI product can be consumed by children as young as three years of age, and should be consumed by everyone daily. The flavor of UMI is green apple! UMI Ingredients and Supplemental Facts! UMI Ingredients and Supplemental - Info! Vitamins and Minerals are essential tools in everyday human physiology. They function as coenzymes and cofactors that are involved in almost all biochemical processes in the body. It is even apparent that they can influence the behavior of genes. In essence, vitamins and minerals are crucial to healthy living. Agel MIN is the Gelceutical designed to nourish your stamina and deliver zesty health. MIN contains the required daily levels of 12 essential vitamins and significant levels of 11 essential minerals. MIN helps you get more energy from your food, and then stores these energy reserves to provide stamina. In addition, MIN's essential vitamins and minerals sustain of over 5000 vital biofunctions to deliver vigor, drive, well-being and ageless zest. Vitamins and Minerals are essential tools in everyday human physiology. They function as coenzymes and cofactors that are involved in almost all biochemical processes in the body. In essence, vitamins and minerals are crucial to healthy living. Before the days of "fast food" and "empty" calories, these vitamins and minerals were found naturally in our food. However, in modern days, as the average diet consists mostly of processed, manufactured food, where the levels of these critical nutrients are relatively lower, there is overwhelming scientific evidence to support the intake of dietary supplements that are rich in vitamins and minerals. Agel MIN is a proprietary formulation of vitamins and minerals that provides 100% of the RDI (Recommended Daily Intake) of almost all the essential vitamins and as much as 50% of the RDI of most of the essential minerals. More importantly, the availability of these vitamins and minerals is enhanced due to the revolutionary gel technology employed in the MIN formulation. The vitamins and minerals are dissolved and suspended in the gel, resulting in immediate availability for absorption by the digestive tract. There are some who advocate using mega doses of various vitamins, presuming that if some is good, more is better. However, there is growing scientific evidence that too much of a good thing can be harmful. Therefore, Agel's formulation for a moderate dose of readily available vitamins and minerals is ideal. There Is Nothing Hard To Swallow About It. Besides providing the right amount of nutrients, MIN uses the revolutionary Suspention Gel Technology to maximize their absorption. So if you'd like to minimize the waste and maximize your vitamins and minerals, MIN is the supplement for you. Better yet, it provides this essential nutrition in a great-tasting form that's easy to swallow, simple to take with you, and sweetened by nature's own sugar, fructose. MIN is recommended for healthy adults, teenagers, children and athletes. Consume MIN at the same time every day. Consume one Agel MIN packet a day. Endurance athletes may consume a second MIN packet for stamina. The MIN product is sold in a box which includes 30 gel-packs, essentially a month’s supply. This will enable all consumers to get the essential vitamins and minerals their bodies need. MIN is great for children, enabling them to not get ill at school or at daycare. The MIN product can be consumed by children as young as three years of age, and should be consumed by everyone daily. The flavor of MIN is berry punch! MIN Ingredients and Supplemental Facts! MIN Ingredients and Supplemental - Info! EXO is a unique and perfectly balanced blend of exotic fruits and plant extracts. 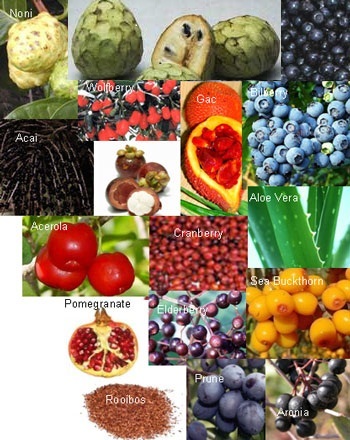 Some of these fruits and extracts are already well-known and well-regarded by those interested in health and well-being. These celebrated sources of health include sea buckthorn, mangosteen, dark grape puree, blueberry puree, cranberry puree, aronia melanocarpa, pomegranate, acerola, elderberry, prune, noni, bilberry, wolfberry, aloe vera, momordica cochinchinensis, rooibos tea extract, and acai. EXO is like no other antioxidant in that it combines all of these fruits and extracts into a one-a-day supplement delivering over 200 antioxidants in a single serving and a tasty one at that. EXO is by far the best antioxidant supplement because of the number of different fruits and the nanotechnology suspended gel supplement involved with the Agel gel-packs for best in class bioavailability. Nutritionists and government health agencies are beginning to envision the importance of antioxidants consumption for cardio vascular health and ageing health. The rate of ageing can be controlled to some degree with antioxidant nutrition. Dark Grape, Blueberry, Cranberry, Aronia, Pomegranate, Acerola, Elderberry, Prune, Noni, Bilberry, Wolfberry, Aloe Vera, Gac, Sea Buckthorn, Mangosteen, Rooibos Tea, Acai, Itc. EXO is a proprietary exotic antioxidant formula in Agel's initial product offerings. Antioxidants are vital to our good health, these are substances that help prevent cellular damage in our bodies. Our body has its own process of repair, but with the stress of current life-styles and the increasing amount of pollutants in the environment, we need extra help. Ideally, we can get most of the antioxidants we need by eating fruits and vegetables, the essentials of maintaining a healthy diet. However, in today's fast-paced world we sometimes replace fresh fruits and vegetables with less than ideal choices. Therefore, enhancing our less than optimal diet with an exceptional antioxidant supplement is extremely beneficial. EXO is a powerful blend of 17 different unique whole fruit purees and plant extracts from around the world, each with its own unique properties with some listed above. This distinctive formula contains 17 potent botanicals that each when tested individually was found to have a very high total antioxidant capacity. Now imagine, the extraordinary benefit of EXO, a highly concentrated gel, made up of not one but 17 of these antioxidant-rich fruits and plants. In independent testing, EXO's antioxidant capacity as determined by an oxygen radical absorbance capacity (ORAC) rating was found to be quite extraordinary. Optimum health requires adequate nutrition. 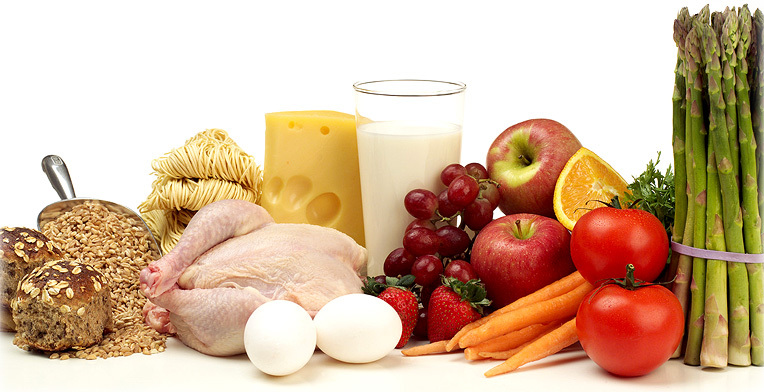 Adequate nutrition involves balance, moderation and variety. Scientific literature suggests that the intake of a varied selection of antioxidants is much better than taking high doses of just one or two antioxidants. Since EXO is a highly concentrated gel containing a variety of antioxidant-rich botanicals, the multifaceted benefits of this formulation are truly unique. There are varying formulations of EXO, each of them containing a slightly different subset of the 17 antioxidant-rich exotic fruits that are used in the US and Canada formulation. This is done in order to accommodate the different markets and the specific requirements as set forth by the regulating agencies in each country. 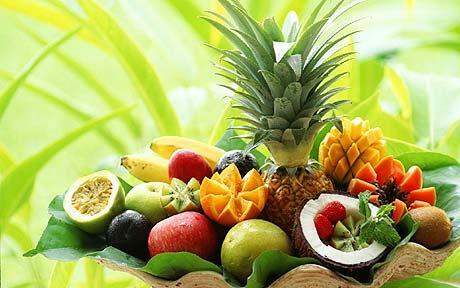 As a result, we will list the fruits that are in each of the three formulations, and then we will give a description of all 17 fruits and plant extracts. Dark Grape Puree, Blueberry Puree, Cranberry Puree, Aronia (Aronia melanocarpa) Juice from Concentrate, Pomegranate Juice from Concentrate, Acerola Puree, Elderberry Juice, Prune Juice, Noni Puree, Bilberry Juice, Wolfberry Juice, Aloe Vera Juice from Concentrate, Gac (Momordica cochinchinnensis) Fruit Juice, Sea Buckthorn Juice, Mangosteen Juice, Rooibos Tea Extract, Acai Juice. Acerola Puree, Aronia Puree, Bilberry Puree, Blueberry Puree, Cranberry Puree, Dark Grape Puree, Elderberry Puree, Mangosteen Puree, Pomegranate Juice, Prune Puree, Rooibos, Seabuckthorn Puree, Wolfberry Juice. Acerola Puree, Aloe Vera Juice, Bilberry Puree, Blueberry Puree, Cranberry Puree, Dark Grape Puree, Noni Puree, Pomegranate Juice, Rooibos, Wolfberry Juice. The EXO product is sold in a box which includes 30 gel-packs, essentially a month's supply, for proper antioxidant consumption and cleaning of the free radicals which exist on our planet. EXO is great for children, enabling them to not get ill at school or at daycare. The EXO product can be consumed by children as young as three years of age, and should be consumed by everyone daily. The flavor of EXO is grape! EXO Ingredients and Supplemental Facts! EXO Ingredients and Supplemental - Info! Being overweight is a common, frustrating problem for many people, losing weight involves a simple equation; the calories expended must exceed those that are consumed. In other words, we have to eat a little less and move a little more. Sounds easy, but for those who battle with this dilemma the execution of a reasonable diet combined with a regular exercise program maintained over the long-term is sometimes not an easy process. Many people trying to lose weight will benefit from supplemental support as they face the challenges along the way. The active ingredient in Agel FIT is a well studied, patent pending form of HCA (hydroxycitric acid), called Super CitriMax. It comes from the extract of the fruit and rind of Garcinia combogia, and it has been shown in clinical trials to decrease body weight by reducing appetite and inhibiting fat synthesis without stimulating the central nervous system. There are other products on the market that use HCA for weight management, but not all of them contain Super CitriMax.. What makes this form of HCA so good is that it is bound to calcium and potassium, which maximises its solubility, thereby, increasing its bioavailability. Add that to the fact that it is now suspended in a gel formulation and we have the makings of an incredible weight management aid. Research has shown that HCA potency, bioavailability, timing of ingestion, and dosage are the essential requirements for optimal results. According to the studies, the Super CitriMax works best if it is ingested 30 to 60 minutes prior to eating meals, three times each day. This will allow time for the absorption of the HCA and suppression of appetite. With the convenience of a gel pack, timing the ingestion of this product in the 30 to 60 minute window becomes incredibly easy. The revolutionary gel technology used to deliver this formulation not only improves the bioavailability of Super CitriMax, but also offers a convenience factor that can maximize the timing of its ingestion. Although nothing can replace a healthy diet and regular physical activity, Agel FIT will be an excellent addition to a successful weight management program. Nearly everyone wants to lose weight, reduce body fat and contour arms, abdomen, chest, and legs. Losing weight can be a challenging struggle. But FIT can help you finally win the battle of the bulge for any age group. Being overweight increases your chances for health problems and decreases your ability to do things. Overcoming it isn’t easy, but using FIT as part of your weight control program can help. You see, the FIT product transforms what you eat from being stored as fat into natural energy. FIT fits perfectly with your weight control program. To reduce your weight, you have to eat less and move more. But FIT can also help. If you take FIT gel packs before two meals, you may significantly increase the effectiveness of your weight control program. That's because it contains an active ingredient called hydroxycitric acid (HCA) that comes from the fruit and rind of garcinia cambogia. Prevent your body from storing unused carbohydrates. Clinical studies have shown that HCA prevents your body from storing unused carbohydrates and inhibits fat production. In other words, it helps you win the battle between how many calories you consume and how many calories you burn. Whenever you win this battle, you lose weight. This is the beauty of this tasty health supplement in that it comes in a lemon meringue flavor which you can think of as having your dessert before eating your meal. Eat less, move more, and lose weight. Another benefit of HCA is that it is a mild appetite suppressant. If taken 25-35 minutes before a meal, it can help you eat less. If you eat less and move more, you can win the battle of the bulge. And few things benefit your health more than losing those extra pounds. Studies show that weight loss helps maintain healthy blood pressure, improves sleep, and can add years to a person's life. FIT Ingredients and Supplemental Facts! FIT Ingredients and Supplemental - Info! 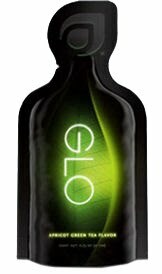 Agel OHM is a blend of micronutrients and herbs that boost energy conversion. OHM does not rely upon stimulants like caffeine it is a B-vitamin based formula that acts as a coenzyme to facilitate the body's own metabolic processes required to convert carbohydrates into energy. OHM is ideal for pre-competition or a "half-time" boost. Agel OHM, is a blend of vitamins, minerals, and herbs that complements a proper diet and regular exercise to support the body by providing the "extra energy" required to meet everyday demands. It does not rely upon chemical stimulants like caffeine or ephedra. Rather, it looks to a B-complex vitamin-based formula that acts as a coenzyme to facilitate the body's own metabolic processes required to convert carbohydrates into energy. 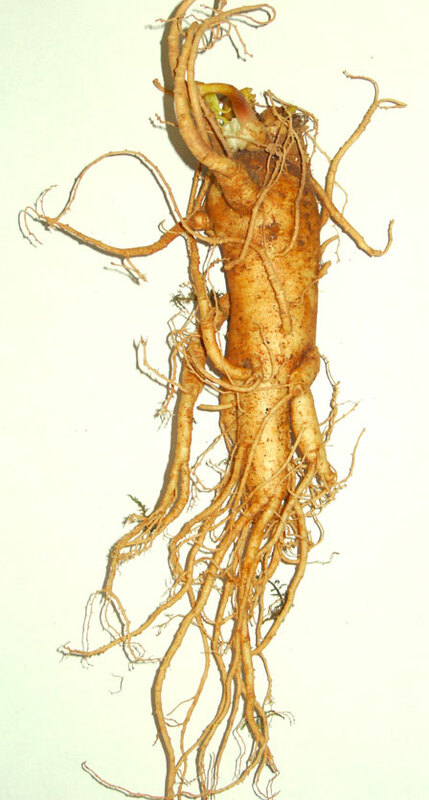 Panax Ginseng is included, a strong adaptogen helping the body to resist stressful influences. Panax Ginseng has also been associated with beneficial effects on motor performance, cognitive behaviour and overall Quality of Life. Likewise, OHM contains Rhodiola rosea to help improve physical endurance and mental performance, and to reduce stress-induced fatigue in humans. Schizandra, grown in China and Korea is another premium herb found in OHM, used historically and today to help improve concentration, strength, stamina, endurance, and alertness, without causing nervousness like caffeine related stimulants. This proprietary formula also gives you physical energy when you need it and can help reduce the time it takes your body to recover from the strain of normal physical activity. The travel-friendly gel pack allows you to have easy access to that energy at your convenience. It all adds up to an essential resource for anyone engaged in the fast pace of today's modern world. OHM contains schizandra, rhodiala, and ginseng, all of which may help you increase your resistance to stress and enhance your mental focus. It also contains taurine, numerous B vitamins, and D-ribose for even more punch. OHM Ingredients and Supplemental Facts! OHM Ingredients and Supplemental - Info! This Protein supplement can be used for an in-between meal when you need a pick me up without having to mix a drink or take a pill. The nice thing about these protein supplements is that the body takes in this protein at a fast rate which is what you want for your body. This products with the PRO chocolate truffle are great in their convenience. They both provide with the ample of energy needed with protein. When you need a healthy snack or your training and are in need of the extra protein then this protein supplement is something you want to use. The 10 grams of protein help you build muscle, keeps the body running and best part is that it all comes in a little package that you can keep with you all day long. Taking this product into the workday enables people to be as or more productive for the next few hours, once they were tired. The immune system is something that needs to be kept up and protein is a main ingredient in the functionality for this to be healthy. Your metabolism is also something that needs to be maintained for a healthy lifestyle along with having a form of exercise routine as little as 30 minutes per day 4 days a week. When taken on a daily basis, the hunger is gone for a few hours – think of the cost savings on unhealthy foods being consumed when the proper nutrition is available in a healthy Pro-gel-pack. Agel provides the best delivery system with suspended gel bioavailability and ensuring absorption within a 30 minute time-frame. You will be getting a great supply of amino acids and leucine which is an amino acid building to creation of lean muscle and promoting fat loss. PRO is perfect for a between-meal pick-me-up, without the hassle of mixing powders, swallowing a pill, or consuming a pasty, tasteless bar. And the protein in PRO is absorbed quickly which means faster impact on your body. Agel PRO is a balanced protein gel that serves a wide variety of nutrition needs for a large number of people. Most people associate protein products with body builders or severe athletes. But, on the contrary, this balanced protein gel can be beneficial to practically everybody. In effect, it is useful for athletes who want to engage in severe muscle building, for individuals concerned with weight management, or simply for anybody who wants a mini-meal replacement or in-between meal snack. The PRO product is sold in a box which includes 30 gel-packs, essentially a month’s supply. Not only can PRO help produce health, it can also be used as an incredibly healthy snack to carry one over until meal-time. Download the PRO (Strawberry) Fact Sheet! Download the PRO (Strawberry) Ingredients! Download the PRO (Chocolate) Fact Sheet! Download the PRO (Chocolate) Ingredients! Creating beauty on the outside, from the inside! 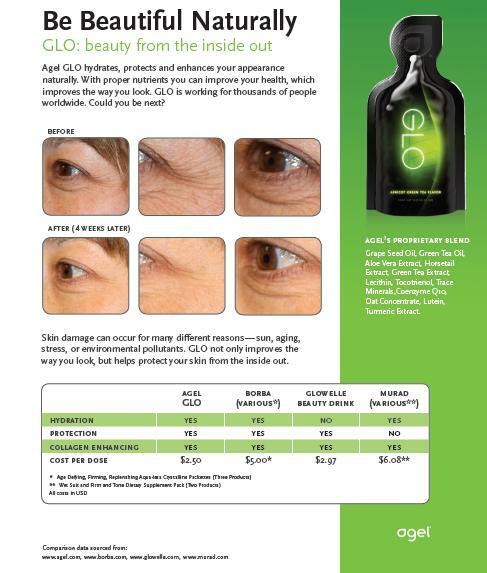 GLO was conceptualized to offer a specifically formulated product that will give your body the nutritional needs to reflect your health and beauty from the inside out. In conjunction with the Agel Body line, your body will obtain ingredients carefully researched and studied to bring the beauty care and nutrition to a full circle. With revolutionary ingredients like Turmeric and Acerola Cherry, GLO is all natural and provides protection from harsh chemicals, long term effects from the sun, reduction of fine lines and wrinkles, sun spots and also evens out skin complexion. Consume one packet of GLO daily with a meal. Its benefits are greater when used in conjunction with the Ageless products. Agel GRN helps cleanse the body. Another breakthrough ingested suspended matrix gel product introduced by Agel Enterprises and this one in early April 2010. On the surface you can clean your outer skin daily, but how to clean your inside? You know that cleansing your inside is very important especially after reaching a certain age. And Agel Enterprises has simplified the process and made it so very convenient and non-intrusive and a lot easier. The product is named GRN and it has a very powerful and natural formulation to cleanse the digestive system by stimulating the digestive track and thereby supporting your healthy bacteria which is and has been working inside of your body. Detoxify your body with GRN. Our bodies absorb all kinds of things: some good for us, some unhealthy to our well-being. GRN was specifically formulated with some of the most powerful phytonutrients such as spirulina and chlorophyll to nourish and detoxify your body naturally. GRN keeps you on the move. With its powerful blend of phytonutrients, GRN keeps the digestive track moving. Whole food fibrous particles stimulate peristalsis, the muscle motion that moves food from one stage to the next. Phytonutrients feed, detoxify, cleanse and nourish the digestive track and this will enable more comfort after eating. This will benefit everyone and will create almost immediate results to those who lack proper established levels of bacteria. Agel GRN was specifically formulated to deliver a powerful dose of plant-based nutrients. Plants are the basis of life on this planet. They are the food source for microscopic organisms and the largest animals on land or sea. One particular classification of nutrients in plants is what's known as phytonutrients. Phytonutrients are biologically active nutrients that are not vitamins or minerals but provide great benefit to the body. GRN harnesses the power of these phytonutrients and delivers them in suspension gel. Now you can easily eat your greens like Mom always told you. GRN is superior to other products on the market because we use whole food ingredients, which means the fibrous plant particles are included in the product, providing tremendous benefit. GRN was specifically formulated to aid digestion, help cleanse and detoxify the body. Now let us take a look at a few of the key ingredients in GRN. Chlorella Vulgaris is a unique single-celled freshwater green algae that happens to be a major component of phytoplankton. While Chlorella Vulgaris is not widely known in North America it is extensively used in the Orient. In fact Chlorella is the number one selling food supplement in Japan and other Asian countries. Chlorella Vulgaris contains a balance of phytonutrients and cofactors beneficial to overall restoration and maintenance of health. It also contains a high concentration of chlorophyll, nucleic acid, amino acids, enzymes, vitamins and minerals. Extensive studies have shown the benefits of Chlorella Vulgaris including immune system function, heavy metal detoxification of the body, digestive system support and acting as a food source for the active beneficial bacteria in our bodies. Many studies have suggested that Chlorella Vulgaris can also help support a healthy cardiovascular system. Please note your Team Member ID for login and save it somewhere. Congratulation and welcome to AGEL Business. 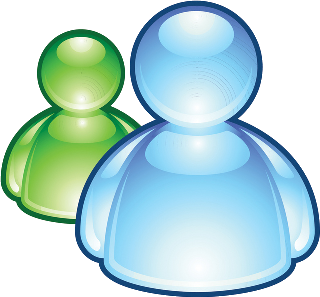 Please press the link to login to your personal Back Office using your Team Member ID number and the Password that you have created. Let Agel guide you along a proven pathway to success. If you commit to doing these simple steps consistently, over time they will produce results! 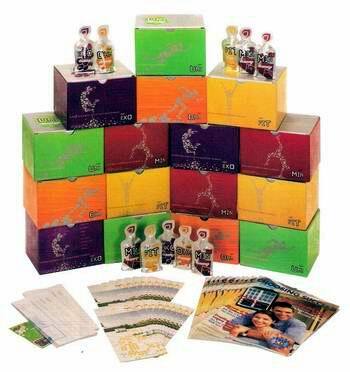 Click the button below to register as a distributor or buy wholesale product from Agel. You will be Redirected to the Agel Corporate Sign-up page. Then again, if you're only interested in purchasing some of Agel's retail product press below! For Detailed Instruction you can go to Join US Page on the top Menu ! 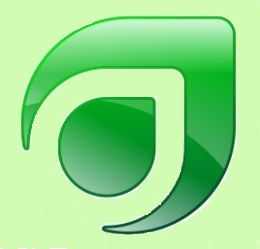 Contact Us Copyright © 2009 Agel Company. All rights reserved. Copyright © 2009 Agel Company. All rights reserved.